Pull up banners are an effective and portable way to communicate your message at events and shows. Your order comes with an included pre-installed banner stand. Turnaround ： 3 – 4 Business Days (Standard) or 2 Business Days (Rush). 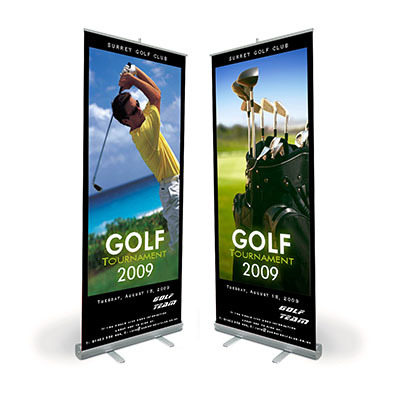 Banner Stands are portable exhibitiondisplay units that are designed to carry an eye catching graphic. A banner stand is ideal for use at exhibitions, conferences, retail outlets or in any public building. Banner stands are lightweight, easy to use and are ideal for one person to carry and erect.